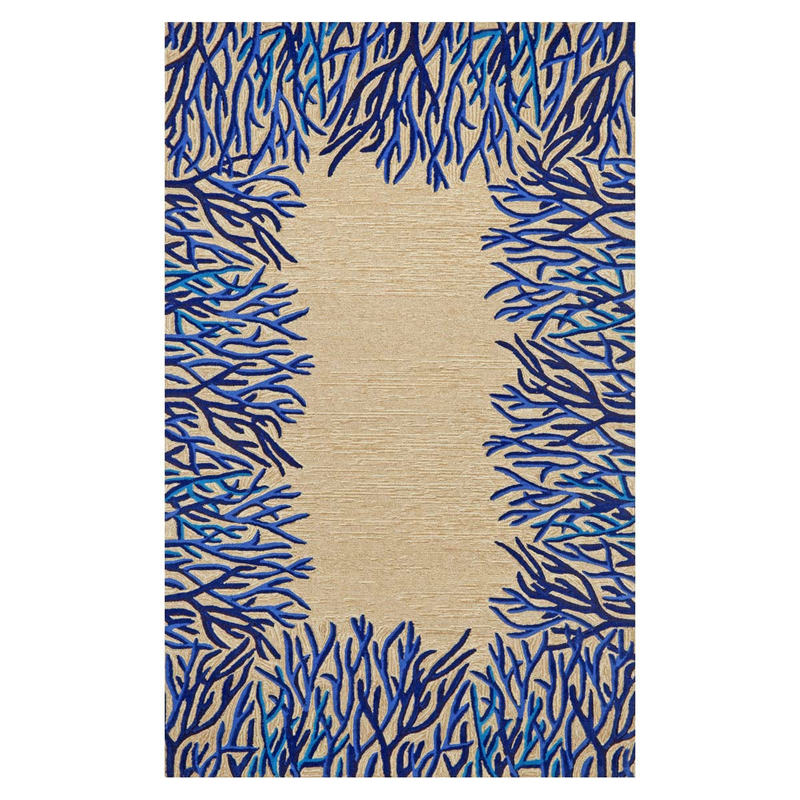 The Azure Waves Coral 9 x 12 Rug enhances your coastal home with a sea coral border design. Vacuum regularly. Sponge spots clean. These nautical area rugs ship from the manufacturer. Allow 1 week. Cannot express ship. For further items, we invite you to take the time to browse our extensive range of coastal area rugs at Bella Coastal Decor today.